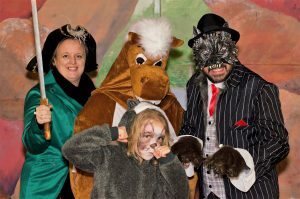 The Buildwas Players are gearing up for their ninth annual pantomime, and this year the proceeds will be donated to the Lingen Davies 40th Anniversary Appeal. With the fiery Little Red, the horrible Big Bad Wolf, and lots of corny jokes and great songs, this promises to be another cracker of a panto!! We are very pleased to have been chosen as this year’s charity to benefit from the proceeds of the show. The pantomime will be taking place on the 7th, 8th and 9th of February at Buildwas Village Hall. Due to high demand, tickets are now sold out for all performances; we’ve managed to grab a couple so we’re really excited about going along! 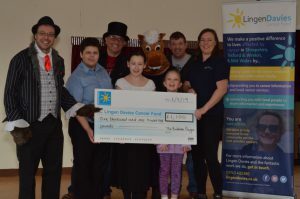 Proceeds from the pantomime will help us to hit our £1.25 million target in time for our 40th Anniversary in June 2019- we recently hit the amazing milestone of £1 million, but there is a lot of work still to do- events like this in our community make a huge contribution to our fundraising and we are very grateful for the support!